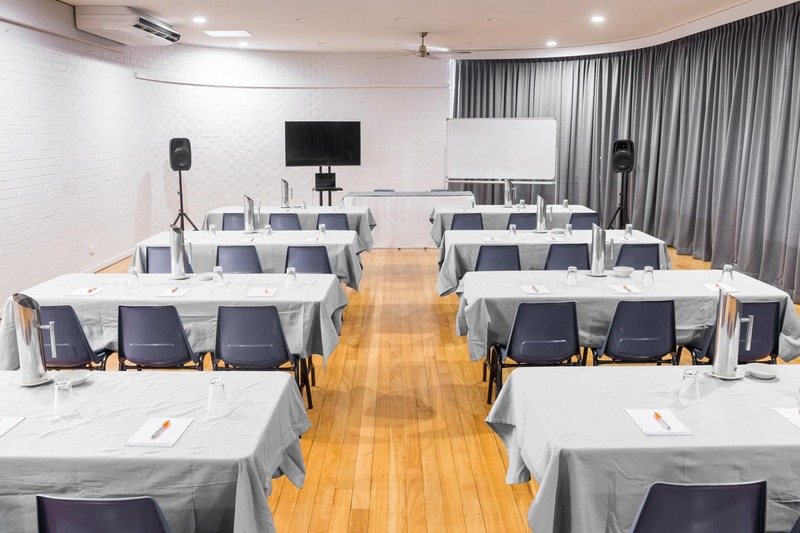 Are you looking for an excellent and spacious venue to hold your training seminar or forum? 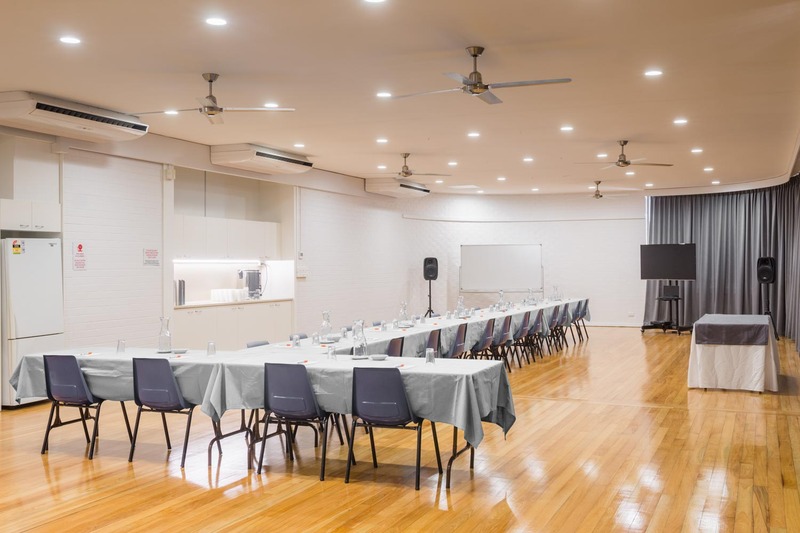 The Caboolture Memorial Hall Supper Room can provide you with a very spacious and elegant room that holds 60 people seated at either round or rectangular tables or 80 people theatre style. 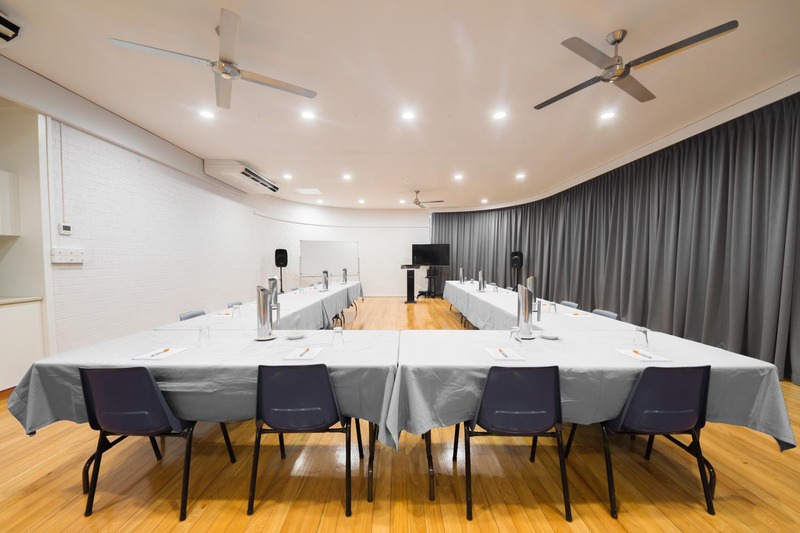 We have recently added new fabric covered very comfortable chairs and large round tables to the Supper Room equipment which can make your formal event all the more inviting and comfortable. 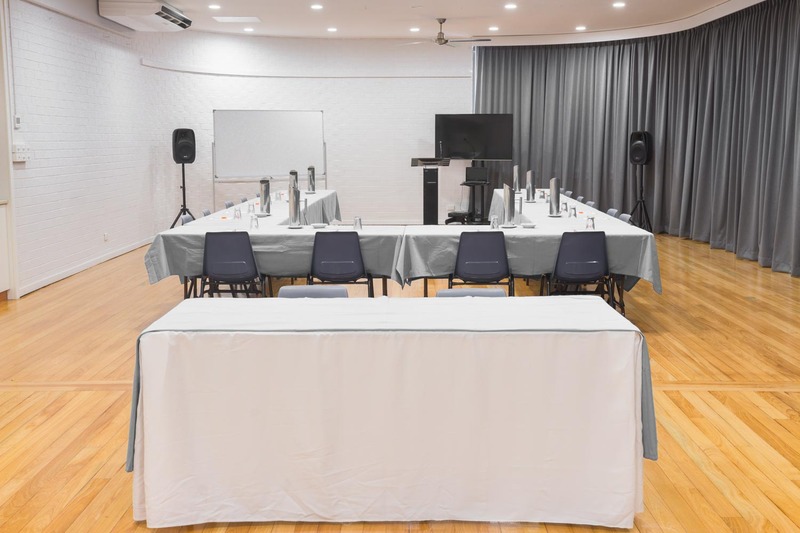 The room is air conditioned and has a new modern and elegant colour scheme including new grey floor length curtains and neutral colour scheme in addition to new lighting and ceiling fans. 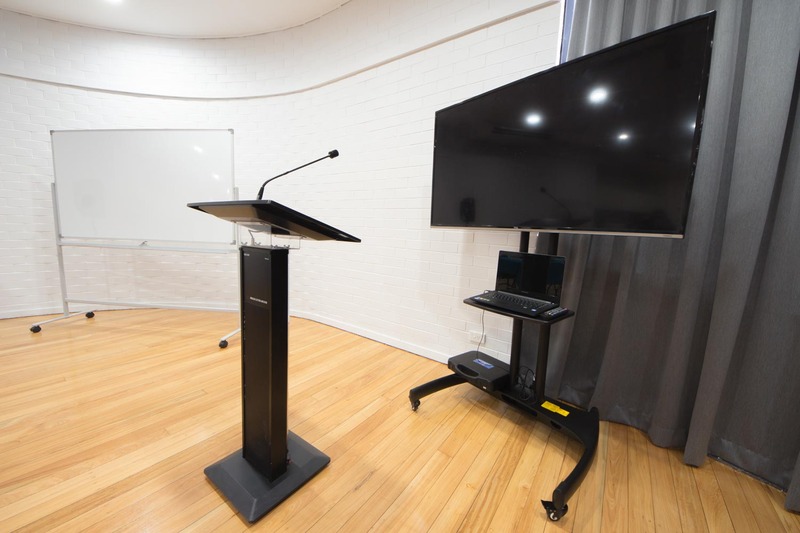 Equipment available in the Supper Room includes a portable white board and large screen high definition widescreen television with USB capability or HDMI and VGA outlets to allow you to show presentations from your laptop computer. We can also provide a lectern and portable PA system with wireless microphones to ensure your audience is able to hear you easily. A fan cooled laptop desk is also available to ensure the best possible position for your laptop. A kitchenette with instant hot water, refrigerator and microwave oven as well glasses, crockery and cutlery are also available for your use. In addition to hiring the room, Enhance Care is able to provide a range of set up, pull down and cleaning services as well as catering for your event. We can provide event co-ordination services should you require them to ensure the smooth running of your event. Please contact our Booking Officer to discuss your requirements. 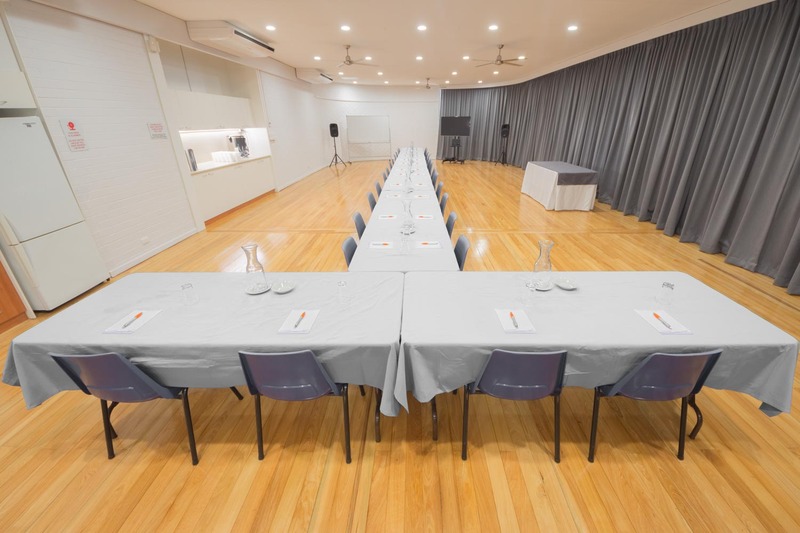 The Caboolture Memorial Hall Supper Room is the place to hold your training events and forums and is available at very reasonable hire charges.